It has been a hot minute since I kicked off the Weekend Roundup— suggestions of things to see and do (and mostly eat) around the world. So, it’s time to stop neglecting the roundup, especially since summer is around the corner and many of us are getting our travel itineraries and food lineups (What?! Am I the only fat @$$ who constantly thinks about where I’m going to eat?) in order. 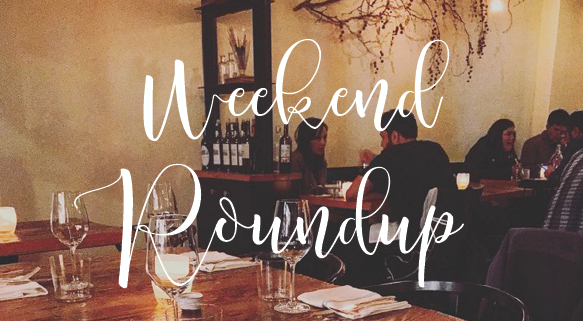 This week’s roundup features suggestions for a Latin-inspired kitchen in the heart of Baltimore’s Canton neighborhood, Seattle’s hottest new restaurant, and one of San Francisco’s latest Michelin Star winners. 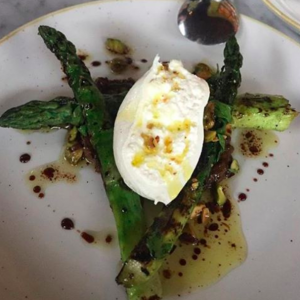 Octavia had been on my radar and once I heard it won a Michelin Star, I was convinced we needed to check out the highly publicized restaurant for a special date night. Tucked on a quiet Pac Heights corner, Octavia provides a quiet refuge from the hustle and bustle of the city, especially on the rainy Friday night we encountered the cozy spot. As if the atmosphere didn’t capture our hearts enough, the service really won us over with their warmth. Now, the main courses were delicious, but the real stars of the show were the appetizers and dessert. I’ve been addicted to squid ink pasta since being introduced to the mouth-watering dish at Stone’s Throw (if you haven’t had their version yet, truck yourself up Russian Hill and make it happen) and Octavia’s version did not disappoint, minus the portion— I wanted more! 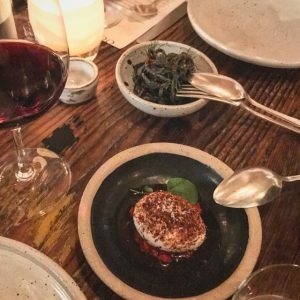 A trip to Octavia also wouldn’t be complete without taste testing their “deviled egg”— a soft cooked egg with Fresno chile relish and a dusting of Marash peppers and other spices. Yum, yum, yum! Finally, I am not a dessert person, but I could not put my spoon down when the chocolate soufflé tart hit our table. The cocoa brittle and salted caramel ice cream had my head spinning and my husband (Mr. Sweet Tooth) ready to lick the bowl. The magic really is in the details at Octavia— from the atmosphere, the service, fresh ingredients, wine list, decor, and location, we left beyond content and will definitely be back. Octavia’s squid ink pasta and “deviled egg” had our mouths watering for more. 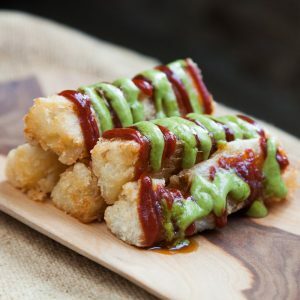 Want to shed your local or travel knowledge in the next Weekend Roundup OR Are you looking for restaurant/activity recommendations for a certain city? Submit here or shoot me a note at LSquaredSF(at)gmail(dot)com and I’ll do my best to find you recommendations to help make your trip one to remember!